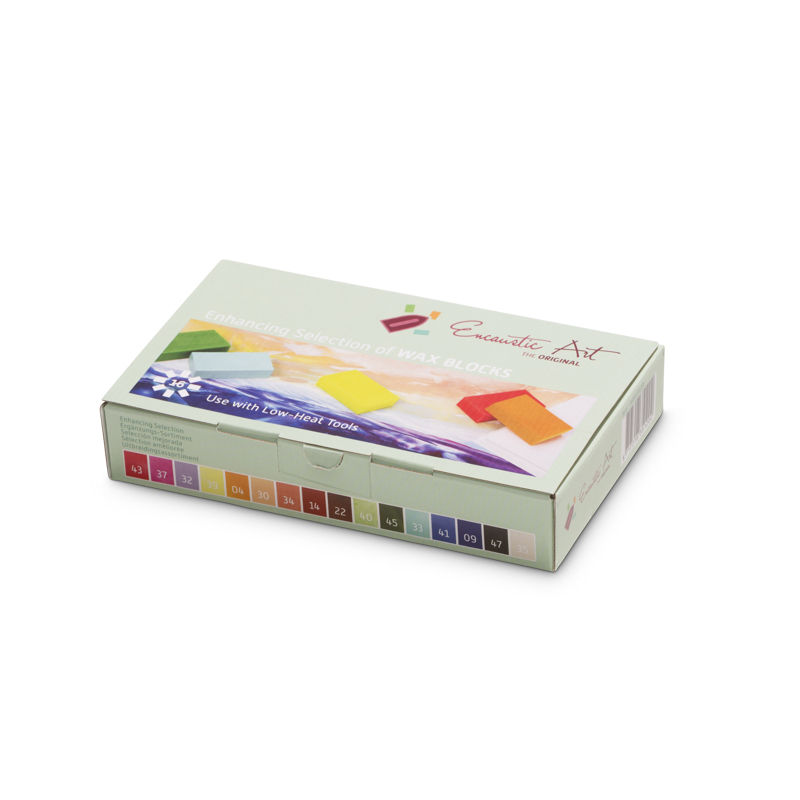 The Enhancing selection contains colours that add a wider palette to the Basic selection. These 16 Enhancing selection colours can be used as a palette by themselves. 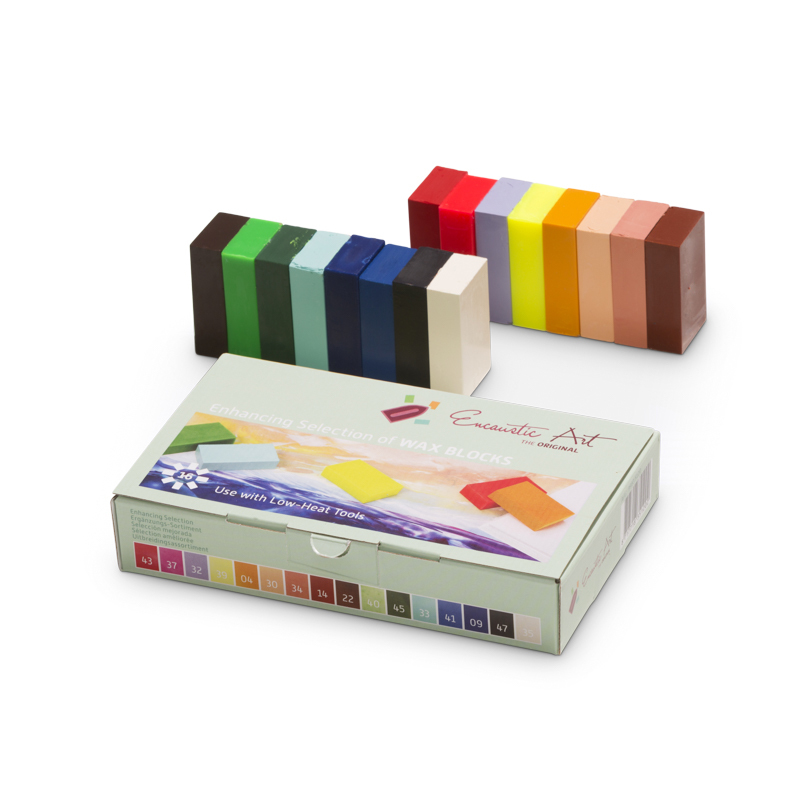 All the different colours are intermixable, which offers a vast potential for colour creation. 43 Bright Red, 37 Neon Pink, 32 Pastel Lilac, 39 Neon Yellow, 04 Golden Yellow, 30 Pastel Orange, 34 Pastel Coral, 14 Yellow Brown, 22 Umbra, 40 Neon Green, 45 Sap Green, 33 Pastel Mint, 41 Neon Blue, 09 Blue, 47 Indigo, 35 Cream.